The fast way to fresh juice! The Juiceman® Compact Juicer takes your favorite berries, leafy greens, hard fruits and veggies, and peeled citrus, and turns them into delicious, satisfying juice. The wide-mouth feed chute fits large produce so you can spend less time preparing and more time juicing, plus the dual food pusher allows you to narrow the chute for easier entry of smaller berries and vegetables. Pulp is separated into the 48oz. removable container during juicing, preserving it for use in smoothies and baked goods. You can even add some back into the juice for more fiber! Other helpful features include: 16oz. juice cup, customized recipe book, and dishwasher-safe removable parts. Berries, veggies, leafy greens—you can juice them all! 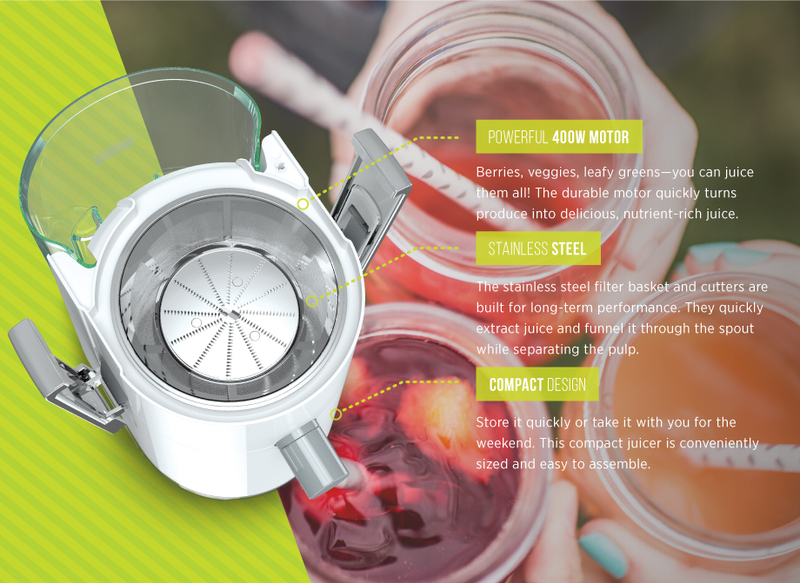 The durable motor quickly turns produce into delicious, nutrient-rich juice. Pulp is separated and saved during juicing so you can use it in a variety of ways. Plus, the container is removable for easy disposal and cleaning. 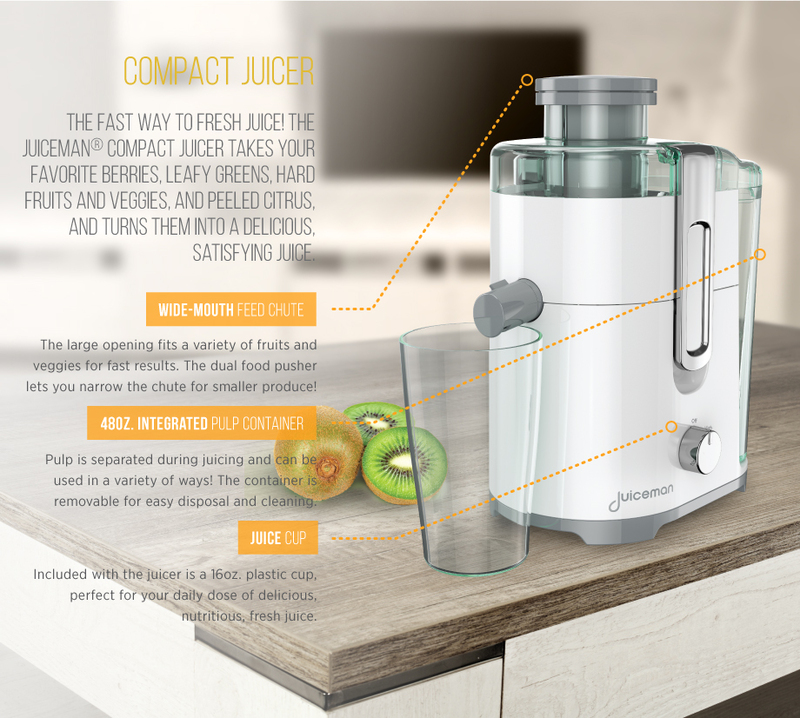 The intuitive dial has settings for low and high speeds, depending on what you’re juicing. High for hard produce and Low for soft.